There is increasing pressure on university scholars to reach beyond the “ivory tower” and engage in collaborative research with communities. But what does this actually mean? 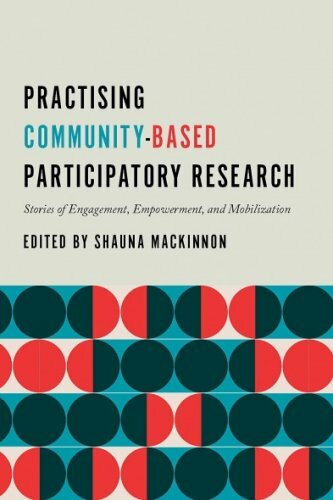 What is community-based participatory research (CBPR) and what does engagement look like? This book presents stories about CBPR from past and current Manitoba Research Alliance projects in socially and economically marginalized communities. Bringing together experienced researchers with new scholars and community practitioners, the stories describe the impetus for the research projects, how they came to be implemented, and how CBPR is still being used to effect change within the community. The projects, ranging from engagement in public policy advocacy to learning from Elders in First Nations communities, were selected to demonstrate the breadth of experiences of those involved and the many different methods used. The issues they address are applicable to urban centres and rural and Indigenous communities throughout North America and beyond. By providing space for researchers and their collaborators to share the stories behind their research, this book offers valuable lessons and rich insights into the power and practice of CBPR. Written in an accessible style, this book is a practical resource for students, scholars, and practitioners interested in community-based research; university-level teachers of social sciences research methods courses; and social justice advocates who want to learn more about how research can be used as a policy advocacy tool. Shauna MacKinnon is an associate professor and chair of the Department of Urban and Inner City Studies at the University of Winnipeg. She has conducted research on social and economic issues for over twenty years and is a co-investigator with the Manitoba Research Alliance, a community-university research consortium. She is the author of Decolonizing Employment: Aboriginal Inclusion in Canada’s Labour Market and co-editor of The Social Determinants of Health in Manitoba.